Tan Sri Anthony Francis Fernandes, a successful businessman from Malaysia, Caterham F1 team sold to a consortium (joint financing of a project or a company) of Switzerland and the Middle East. Caterham F1 Team was formed in 2012, after the purchase of Caterham on 27 April 2011. Caterham F1 Team beginning named Team Lotus F1 (Lotus Racing F1) problems with the Proton who have purchased Lotus Group, where only the protons are allowed to use the name Lotus, so that in 2012 Tony formed a Caterham F1 team. Anthony Francis Fernandes was born on 30 April 1964 in Kuala Lumpur, with a variety of experiences, such as; joined the management of the Warner Music Group. Because Warner Music Group merged with America Online, then Tony Fernandes declared resign from the business that has been done for 14 years. He joined Warner Music from 1992 to 2001. Tony Fernandes takes over Air Asia with dowry 1 Ringgit, Air Asia has a debt of 11 million US-dollar and leaving only 2 pieces of Boeing 737-300 series aircraft 9M-AAA and 9M-AAB. However, under the leadership of Tony Fernandes, Air Asia company into a large airline company. Tony Fernandes is also the largest shareholder of English club Queens Park Rangers; he bought QPR on 18 August 2011, after buying a 66% stake Bernie Ecclestone. 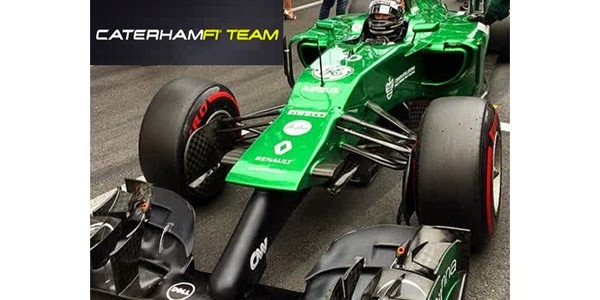 But success in many fields, not followed by Caterham F1 Team, Caterham team always fails to occupy the top of the standings, just in the first three seasons Caterham team finished 10th from the beginning formed. "Article : Tony Fernandes sells Caterham F1 Team"